Why should you seek professional services for pest control for cockroach infestation? Cockroaches are annoying dirty pests. They transmit various kinds of diseases. They vomit on stored food, thus contaminating the food and spreading illnesses and allergies to people when they eat that food. In addition, they are very unsightly. Cockroaches are considered to be one of the most detestable pests of all the pests that can inhabit in our homes. Cockroaches thrive in warm environments. Mostly, they are nocturnal and therefore you will mainly see them active at night. However, don’t be surprised if you see one popping out during the day to look for food in the rubbish bin. They also have a tendency to scuttle from one dark corner to another. Most homes that are cockroach-infested have the most common species of UK cockroaches, which are the German and Oriental types. It will be hard for you to identify the difference, let alone know how to get rid of cockroach infestation without engaging the services of professional cockroach pest control. The Oriental cockroach has a rich dark brown colour and it is referred to as a water bug in some instances because it thrives in damp, cool and dark areas. They can therefore become rampant underneath sinks, in dank basements and the washing area. Compared to the German cockroach, this species is slower and less wary. The oriental cockroach type thrives in filth, and travels through stinking sewer pipes. If your home is infested by them, you will need professional cockroaches pest control services to eliminate them and ensure that they never come back again. The German cockroach has a light brown colour. It is smaller than the oriental cockroach and its size ranges from 12-15mm. This cockroach thrives in humid environments. It is proactive, and travels by climbing over surfaces, even tiles and vertical glass, and is prevalent in domestic houses and hospitals. It is easy to notice when your home has been infested by the German cockroach, and therefore makes it easier for you to enlist pest control for cockroaches UK in good time before they over breed. Honestly, nothing is as unpleasant or difficult as getting rid of cockroaches, unless you are a professional home pest exterminator with ample training and resources. Thankfully, our treatment programme is a sure way of controlling these nasty creatures. During the visits we will make to your premises, we will be able determine the species that has infested your home prior to carrying out the extermination process. Our technicians understand the behaviors of the two cockroach types. They understand what each one of these species is capable of doing, the pest’s life cycle and how to get rid of them effectively. We eradicate these pests according to their adaptation habits so that they stop breeding. Note that we use cockroaches control measures that are 100% safe for children and pets when administering our cockroach pest control London. Our control programme focuses on exterminating various cockroach breeds with methods appropriate to the type. For instance, the German species is exterminated using baits as well as insect growth regulators while the other species are exterminated through insecticide concentrates. 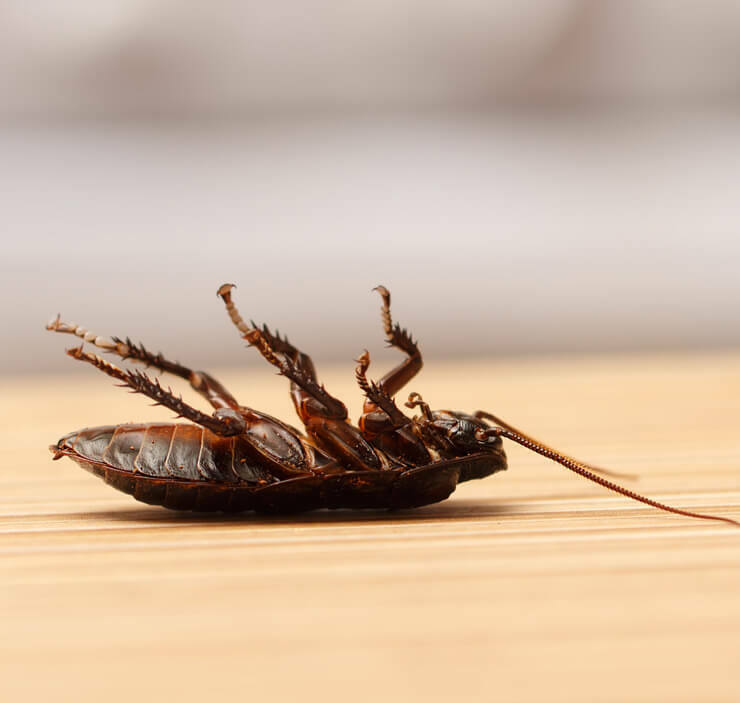 As soon as we are finished with the cockroach UK treatment, we give you a detailed report for all the work that we carried out in your premises. In addition, we give two follow ups to ensure that the roaches never come back.